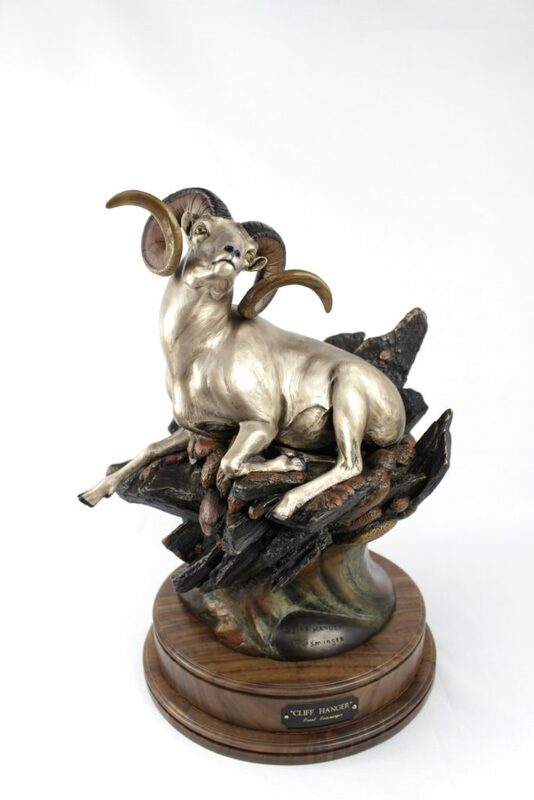 Frank donated Cliff Hanger to the Wild Sheep Foundation Convention in Reno February 7-9, 2019 this piece sold for $4500 at the Saturday night auction. Wonderful to see it do better than most of the bronze wildlife donations at auction. “Cliff Hanger” is Alaskan Artist Frank Entsminger’s fifth Dall/Stone sheep sculpture and the first to depict a magnificent northern sheep ram laying down. Frank’s previous four Dall/Stone sheep bronze pieces where editions of 26 which have all sold out therefore bringing the idea for a new sheep bronze. Frank love of the mountains, mountains hunting, & dall sheep is another of his inspirations for this new piece. 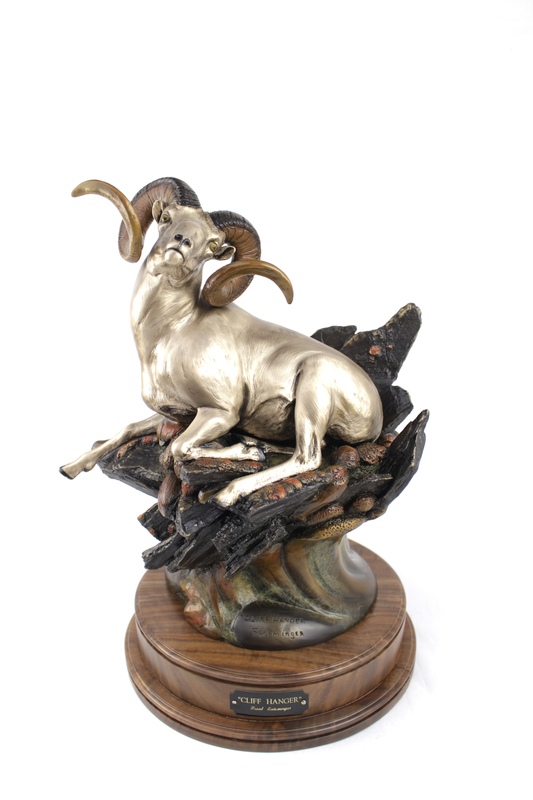 This investment quality bronze is mounted on a beautiful dark walnut base with lazy susan mounted in the bottom so it can swivel to be viewed from all angles of your trophy room, office, or den. The piece is approximately 17”T x 14”W x 11”D and weighs around 32 lbs.